One of social media’s best kept secrets is how to make Buffer loop endlessly. We’re going to show you how. How to make Buffer loop endlessly. 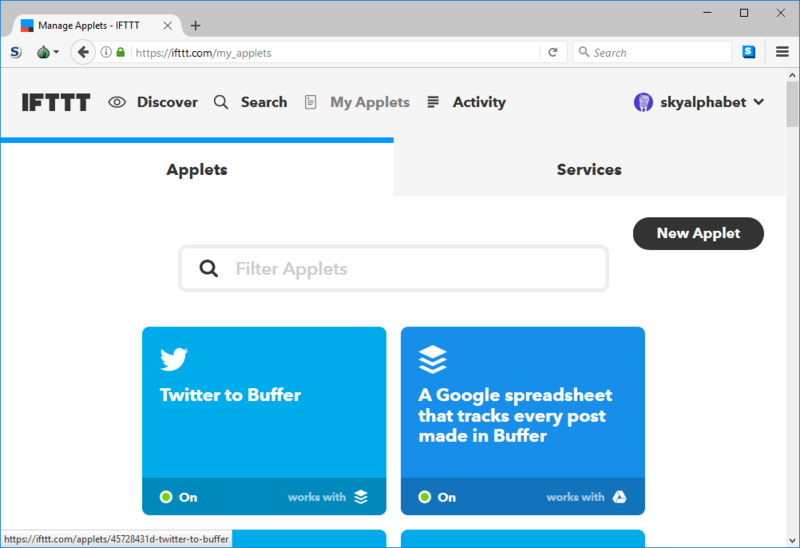 Look, one of the massive advantages that Buffer has over Hootsuite is that Buffer works with a program called IFTTT. Hootsuite doesn’t. If you haven’t heard of IFTTT, we’ll give you a minute. Because you’re about to learn how to instruct Buffer to re-fill itself to you can create a Buffer loop. IFTTT is a software-as-a-service (SaaS) website that lets apps like Buffer talk to other things. Like security systems and lightbulbs and clock radios and gmail and…Twitter! You’re right. Making Buffer loop so that it posts endlessly while you go on an extended vacation is one of the best kept secrets in social media. This is so secret that 99.9% of the people who use Twitter don’t know about it. This is so secret that some people pay Meet Edgar a lot of money to keep their feed full or recycled with “evergreen” posts. Now you don’t. You can make Buffer loop all by yourself for free. Anyway you get the point. You won’t find a lot out there. This real is a well kept social media secret. So secret I had to figure it out on my own. It vexed me how @sam___hurley could tweet so often. Twitter will not like it one bit if you abuse this so PLEASE do not use this as an opportunity to post stupid things on repeat. What I’m about to show you is the #1 Buffer hack in the world. How to make Buffer loop. Send us an email if you find this anywhere else (info@skyalphabet.com). Why would anyone want to Tweet endlessly? There are four good reasons. If you’re serious about social media, you have to tweet while you sleep. The downside is that you’ll never get a blue checkmark from Twitter if you’re tweeting 24/7, but most of us have given up on that checkmark anyway. Let’s just say Twitter won’t be getting invited to any dinner parties! If you Tweet throughout the entire day, you will attract far more people than if you only Tweeted when you are physically around to do it. Since the average post only lasts 18 minutes before it disappears in the feed of your online followers, tweeting often isn’t only normal, it’s a must. A lot of non-Twitter people don’t understand that. Instagrammers totally get it. Instagram and Twitter are a great combo. It would be nice if you could Tweet the actual Instagram picture instead of resorting to a screenshot, but hey Instagram is controlled by the Dark Side (Facebook) so they are careful about letting anyone free outside their walled garden. People are on Twitter when you are not on Twitter. A lot of people! You want a chance to reach those people. You can only reach those people if your tweet is tweeted when they are online. So the only way to truly maximize your reach is to Tweet all day and optimize your tweets for the times when people are online. You can use followerwonk.com or Tweriod to find out when your followers are online. Trust me when I tell you that if you develop your audience and then you start tweeting often that you will find that your audience starts to grow magically. When this starts to happen you get a little tingle and that tingle is related to impression addiction. Seriously, your amygdala is linked to the analytics in your Twitter account. Every time you gain 500 followers it releases oxytocin. It releases even more oxytocin why you generate 100,000 impressions in a week. To check to see how far off you are from becoming an impressions addict, go to Analytics in the Twitter settings menu. It will tell you how many impressions you generated relative to the last 28 day period. You just hit the big leagues. Congratulations. Now, I would strongly recommend that if you are using a free version of Buffer that you change up your 10 tweets every day and that you tweet no more than 4 times a day and that every tweet is different. 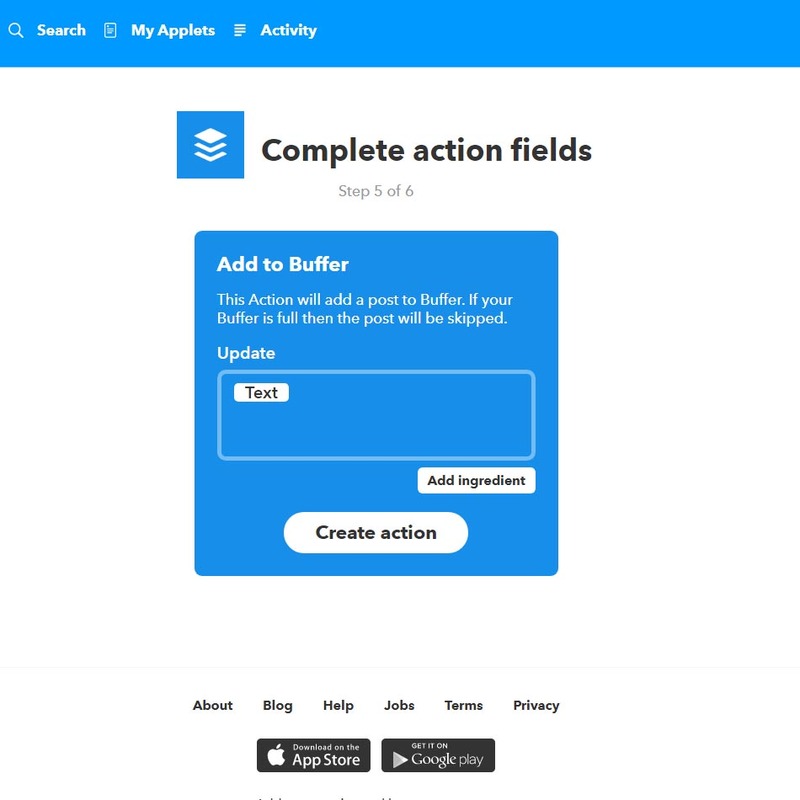 Make Buffer loop using IFTTT. It’s free. Make sure your 10 tweets are rock solid. Make sure you change them every day so they don’t repeat. Unless, of course, you fork over the well-worth-it $9 to Buffer and get 100 Tweets instead of the free 10 they give you. Welcome to Twitter stardom. You can now take a vacation. Make sure you have a Buffer account. Make sure both your Twitter account (the one you want to loop) and the Buffer account are open. 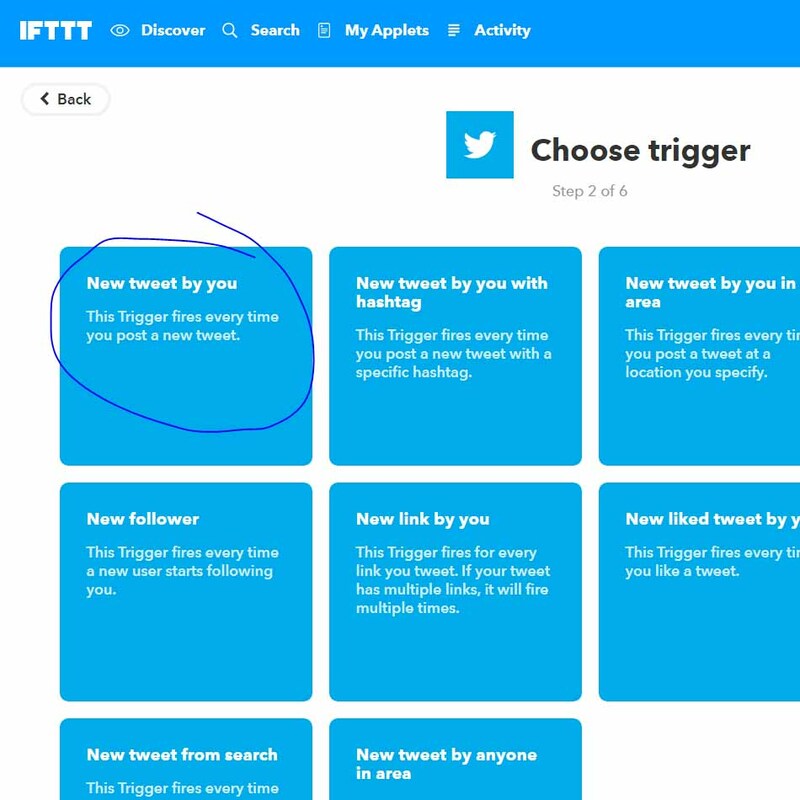 Then go to ifttt.com and select new applet. 5. 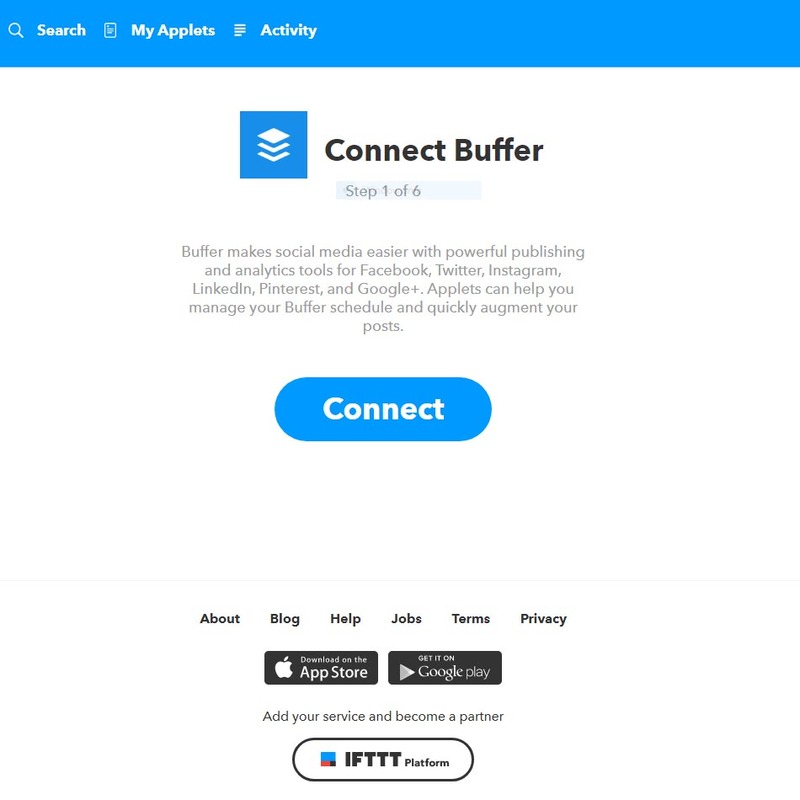 Connect your Buffer account. It should already be open in the background. 6. 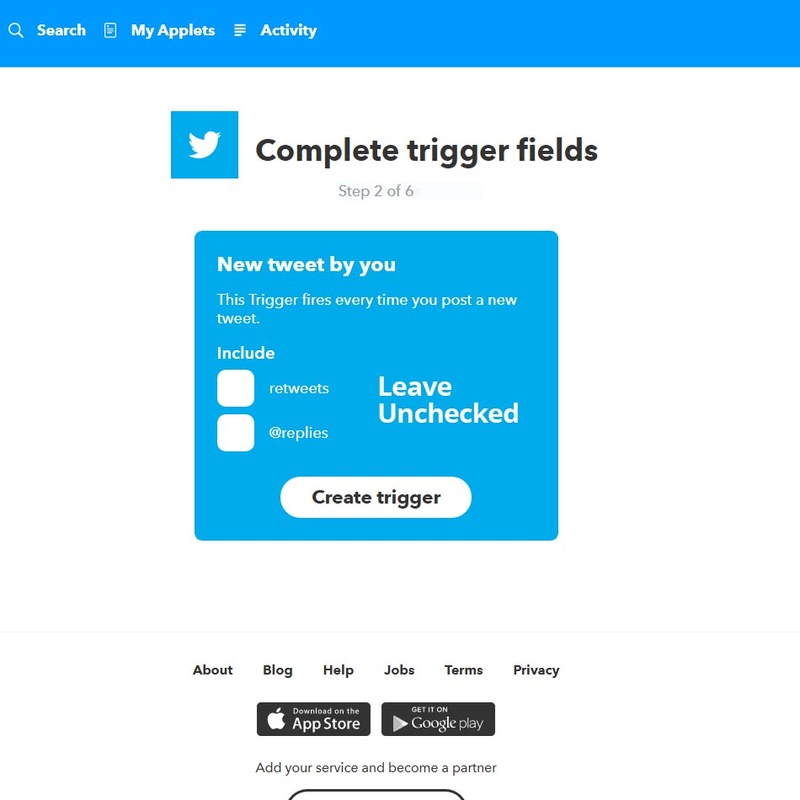 The final step will be to fire the “Add to Buffer” trigger every time you post a new tweet. This will turn your Twitter feed into an ever-refreshed fountain of joy for evermore.